Bajaj V’s Invincible Indians, stories of ordinary people whose selfless service to society evokes pride every day. He travels throughout NCR, collecting medicines for people who cannot afford them. Watch Medicine Baba on his journey to save lives. #VInvincibleIndians. More Android apps are downloaded in India than anywhere else in the world. 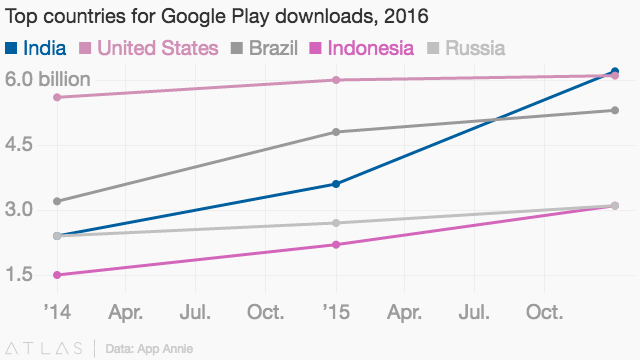 Last year, Indians downloaded 6.2 billion apps through Google Play. The Kérastase Hair Coach Powered by Withings was unveiled at CES 2017. Developed in collaboration with L’Oréal’s Research and Innovation Technology Incubator, the brush features Withings’ advanced sensors and seamless product design along with L’Oréal’s patent-pending signal analysis algorithms to score the quality of hair and monitor the effects of different hair care routines.